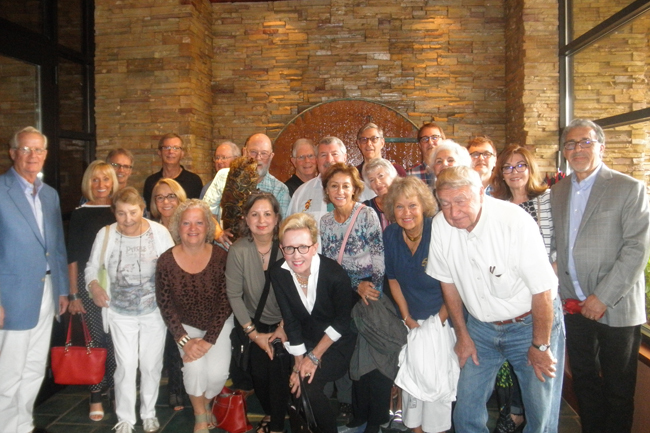 The Indiana TCC Chapter had an outstanding meeting on Saturday, March 16, at Seasons 52 in Indianapolis. The activities began with an enjoyable reception and lunch, during which time the members exchanged travel stories and anecdotes. After a fine lunch, we heard and saw an excellent presentation by Bruce Johnson about his trip to Ethiopia, Zambia, Zimbabwe, Botswana, and Namibia. His program, “My African Adventure,” highlighted the magnificent Victoria Falls, village life along the Okavango River, the amazing wild animals in Chobe River and Etosha National Parks, sea life along the Skeleton Coast, and exploring and hiking in the spectacular Namib Desert.